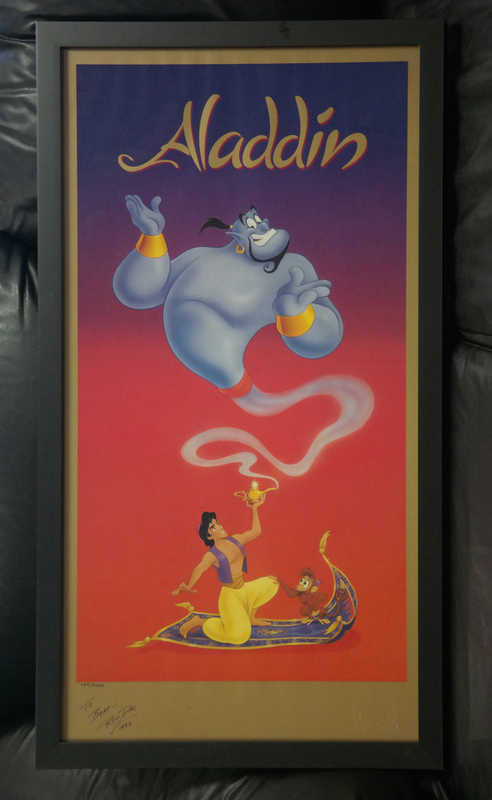 This is a limited edition poster from the Walt Disney Studios animated feature, Aladdin (1992). 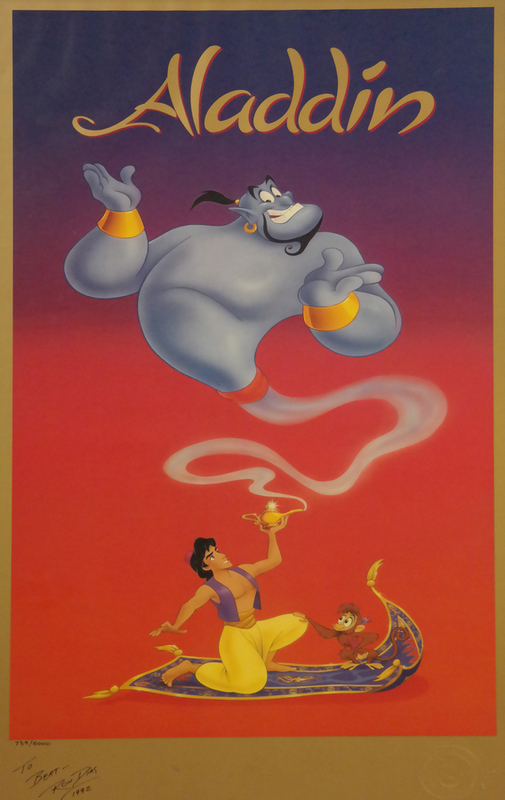 This poster was created after the film's release, exclusively for the cast and crew that worked on the film and features a great image with Abu, Aladdin, and the Genie. 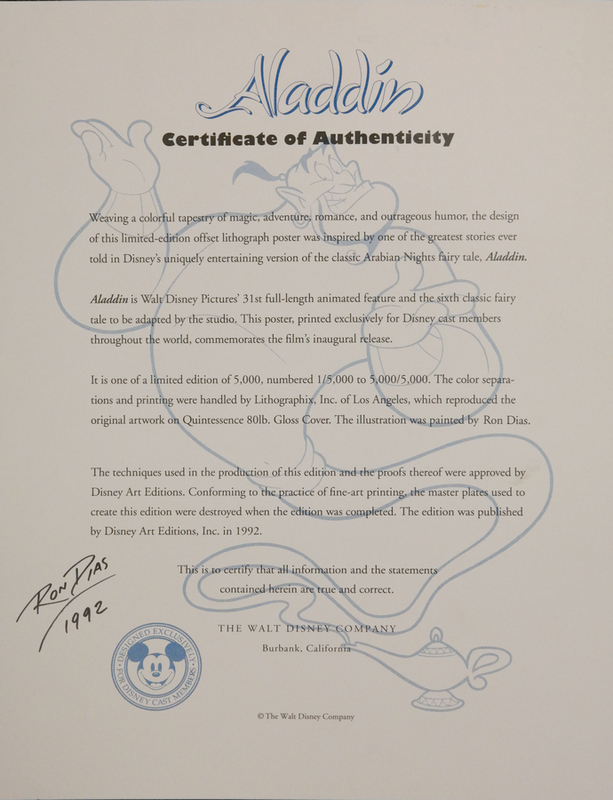 The image was created by Disney Studios artist Ron Dias and is actually hand-signed by the artist as well. Only 5000 of these posters were printed. 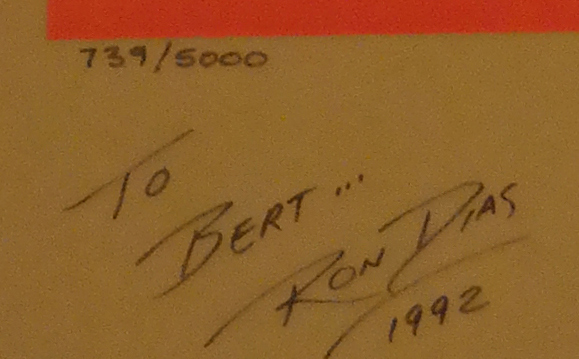 The poster is in great condition and measures 35" x 20" framed with the image measuring 29" x 16.25".